Golden Ray is a simple and effective free template using one-page layout. 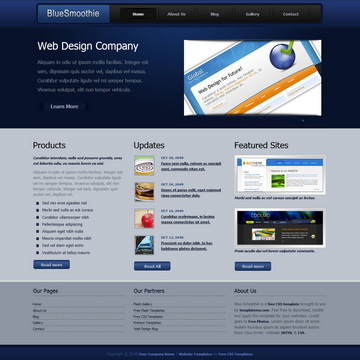 Portfolio section is integrated with lightbox. 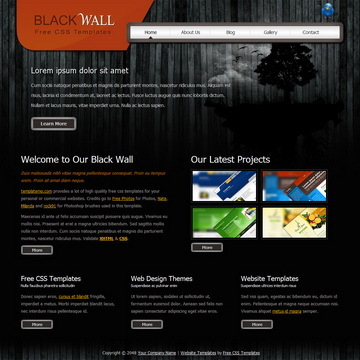 Black Wall is a free website template using black wooden strips as background image. 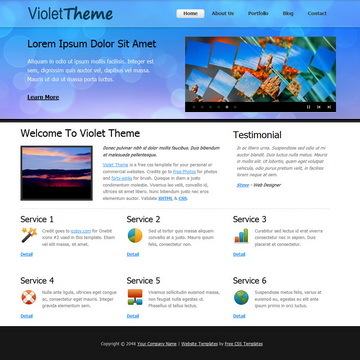 This HTML CSS template can be applied for any purpose. 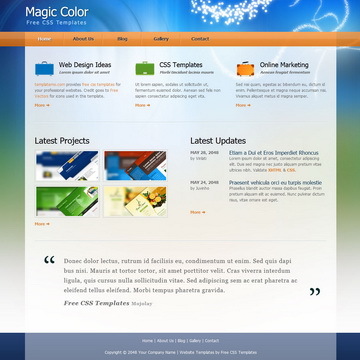 Magic Color is a light template using colorful blue, green, white background. Main menu is stylish using orange candy bar. Golden Ray Template is licensed under Creative Commons. Permissions beyond the scope of this license is available here. 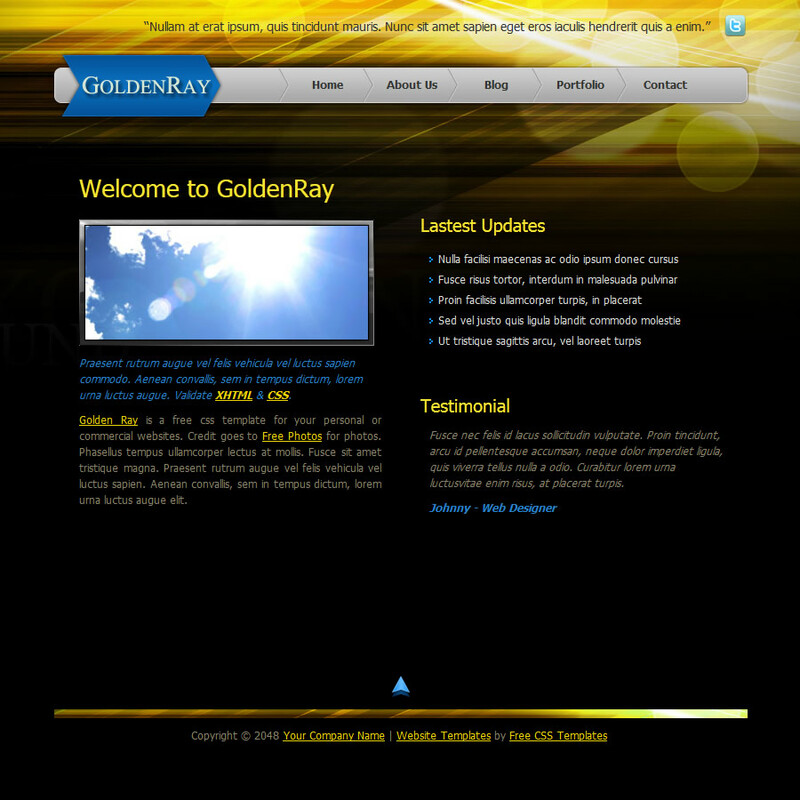 You are allowed to download, edit and use this Golden Ray HTML CSS layout for your commercial or non-commercial sites. Please share Golden Ray Template to your friends. Thank you.